A1 Overseas International ships to Guatemala! Call 1-800-450-5319 or fill out our form for a FREE quote! Look no further than A1 Overseas International, an International auto transport to get your vehicle shipped to Guatemala. They can off roll on roll off shipping, container shipping and even air shipping for those looking to spend top dollar. If you are wondering how A1 Overseas International can have your vehicle delivered safely and ready to drive, contact them to schedule a realistic ship day. Make sure to have all the important details about the vehicle you wish to import or export to make sure that it will be fit to clear customs. Sometimes, even the age of the vehicle matters when it comes to having your auto shipped into another country, In the case of Guatemala, A1 Overseas International is allowed to transport any vehicle without having to worry about any age restrictions. 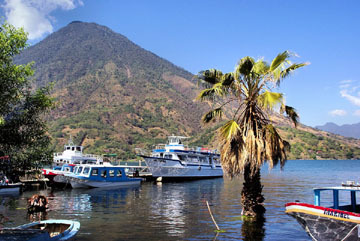 There are a few destination ports to choose from in Guatemala such as Guatemala City, Mixco, Petapa, San Juan Scatatepequez, and Villa Nueva. If you plan on driving your vehicles into the surrounding countries such as Honduras, age restrictions do apply so make sure to do some research on that before trying to enter another country. Consider taking your vehicle to the shop prior to ship day to ensure that your vehicle will not cause any problems while on board. Leaks and car alarms can all pose problems for those who will be tending the vehicles during transportation. Roll on Roll off Shipping- This method of transportation is used mainly because it is safe, but it’s also the least expensive way to ship a vehicle internationally. You will really want to make sure that your vehicle is operable and has been taken to the garage prior to the ship day. Container Shipping- This is a more expensive way to transport a vehicle, but it provides extra privileges that the roll on roll off method cannot offer. Contact 1-800-450-5319 or fill out the form for a FREE price quote and more details on boat, motorcycle and car shipping!